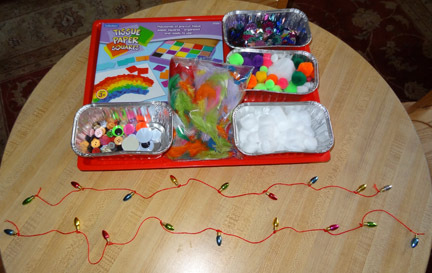 I love seeing fun new ideas for Christmas activities for kids. And my kids love to decorate our house for the holidays. 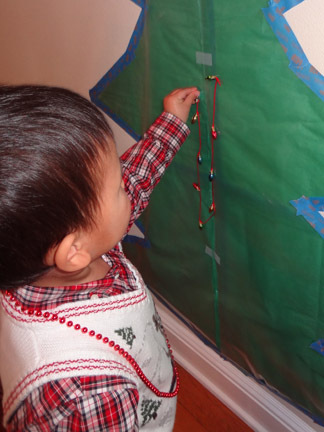 So when I saw an idea for a sticky wall Christmas tree at No Time for Flashcards, I knew we had to make our own. 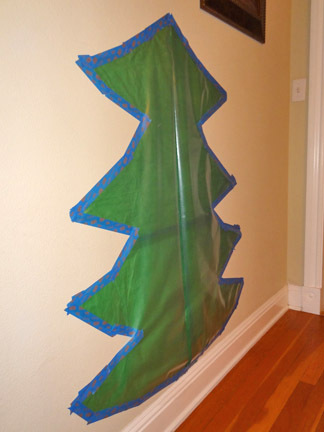 I thought a sticky wall Christmas tree would be a wonderful way for my kids to have some fun while adding their own decorating flair to our home at the same time. 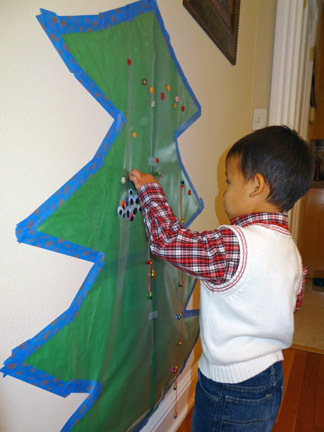 My mom – the kids’ grandmum – helped get the sticky wall tree set up for the kids. 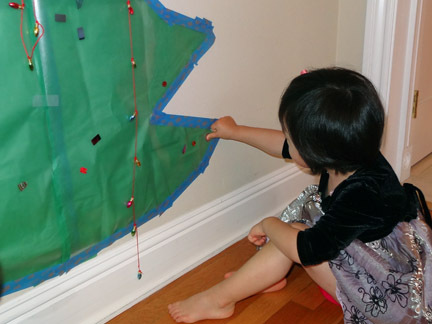 Using green tissue paper, she cut out the shape of a tree. 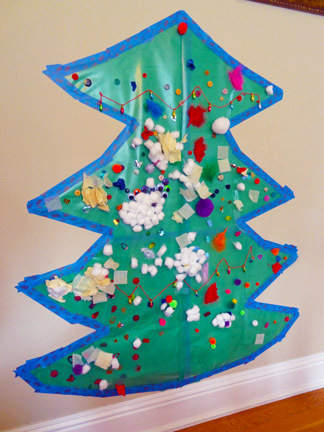 Next, she laid the tissue paper tree on the back of a roll of contact paper in order to trace the tree shape onto the contact paper. Then, she cut the contact paper into a tree shape as well. 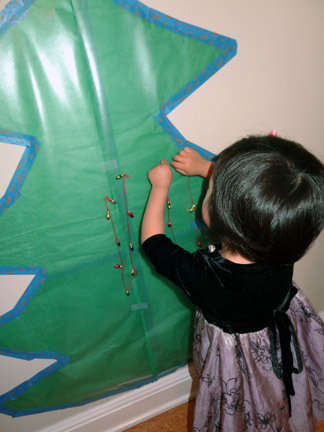 Once she had the tissue paper and contact paper trees, she used painter’s tape to first tape the tissue paper tree to the wall. 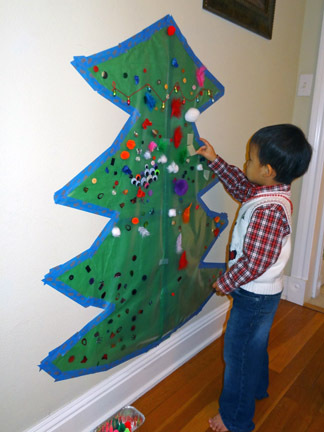 Then she used painter’s tape to tape the contact paper tree to the wall right over the tissue paper tree. The contact paper was put up with the sticky side facing out. When it was time for the kids to decorate their tree, I put out a number of different “ornaments” for them to choose from. 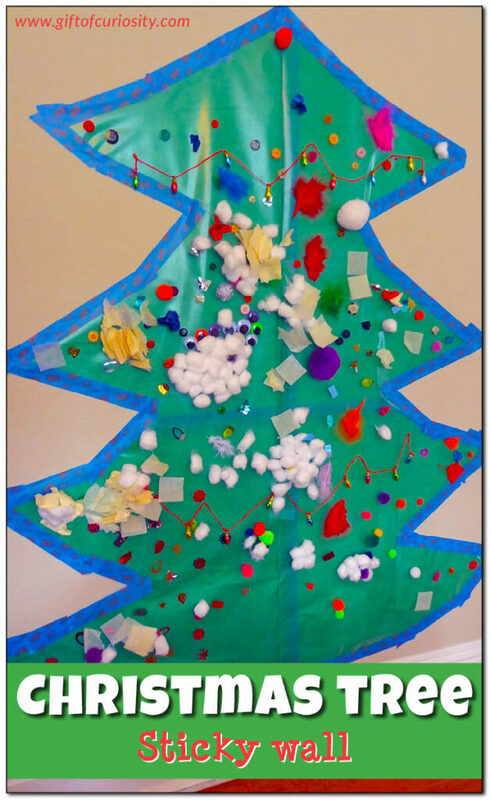 This included a string of “lights” (made from light-shaped beads), tissue paper squares, sequins, pom poms, cotton ball “snow,” feathers, googley eyes, and buttons. The kids were so anxious to begin decorating. As with any Christmas tree, they started by stringing the lights. They started decorating up high. Then they worked down low. Somewhat to my surprise, they took a turn with each of the decorating materials I had laid out. And they stayed engaged for quite a long time. Here is what the tree looked like when they finally finished! I think it’s a beautiful addition to our holiday decor! 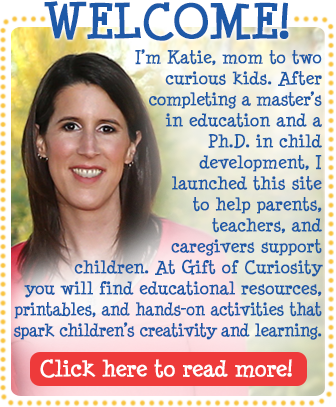 And my kids are so proud because they did it all by themselves. 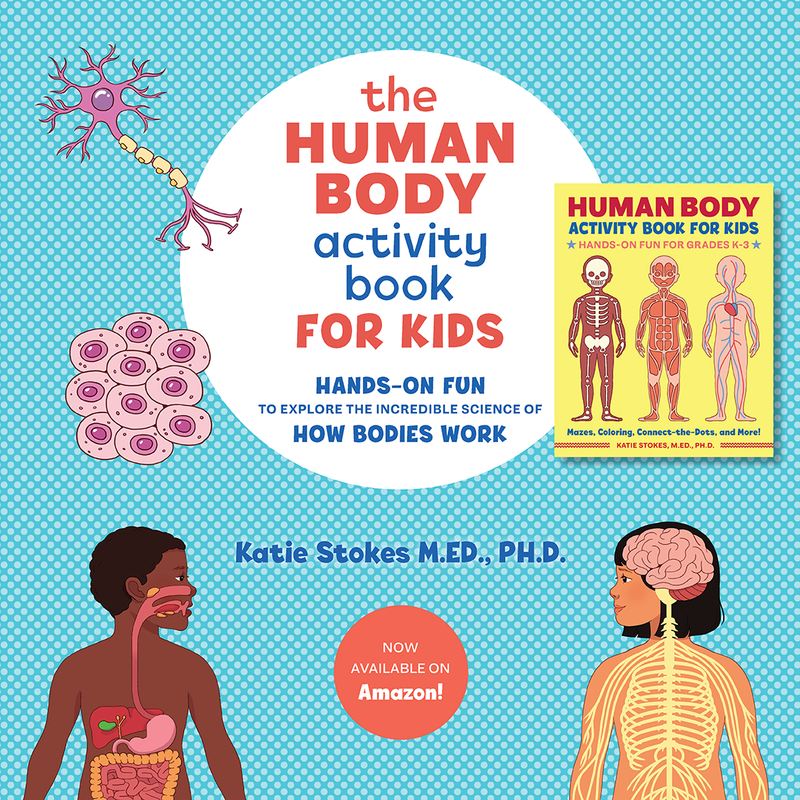 This looks so fun for the kiddo’s. Wow so much fun! How clever to use a tissue paper topped with clear contact paper. I absolutely LOVE this idea. 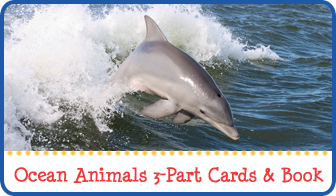 It looks like so much fun! 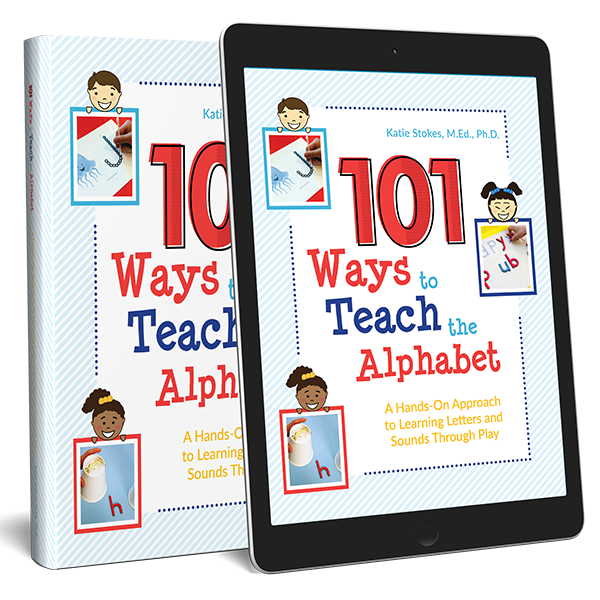 Thanks a bunch for linking this up to Share It Saturday. 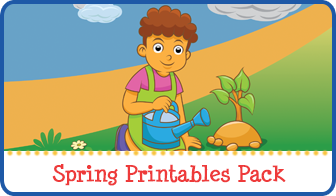 I am pinning it NOW! We love sticky art, and this is FABULOUS! What a great idea!! !